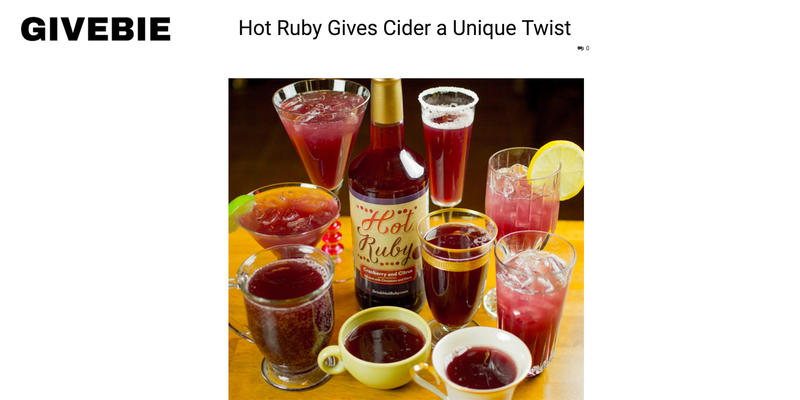 Congratulations to our Client Hot Ruby for their feature on Givebie! Harvest the best memories this Thanksgiving season with Hot Ruby. Originally created by the late Ruby Faye, Hot Ruby is made from a special family recipe. Unlike typical cider, this drink is made out of cranberry, pineapple and citrus juices along with an exquisite blend of spices. Not only will the house smell delicious while it’s simmering on the stove, but it will warm the souls of your guests with its goodness. Hot Ruby can be consumed by all ages. Originally made to serve hot, it can be prepared over ice or used as a mixer with your favorite alcohol. Check them out at drinkhotruby.com!